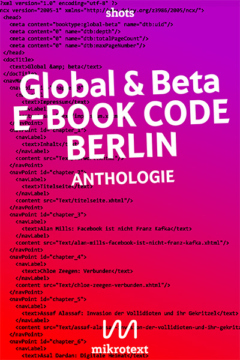 The number of representatives of digital publishing that Berlin has attracted in recent years is astonishing. Their lingua franca is a code that can be understood anywhere you go and is used across the world: the e-book code. Free download. Also available in German. Four Berlin-based publisher-authors, Kathrin Passig of Techniktagebuch, Nikola Richter of mikrotext, Ansgar Warner of ebooknews, and Gregor Weichbrodt of 0x0a/Frohmann, share and discuss opinions, experiences, and challenges.As part of the Stadtsprachen Festival, taking place in Berlin in November 2016 and funded by the Hauptstadtkulturfonds, this reader look at what it is that constitutes this international digital voice. 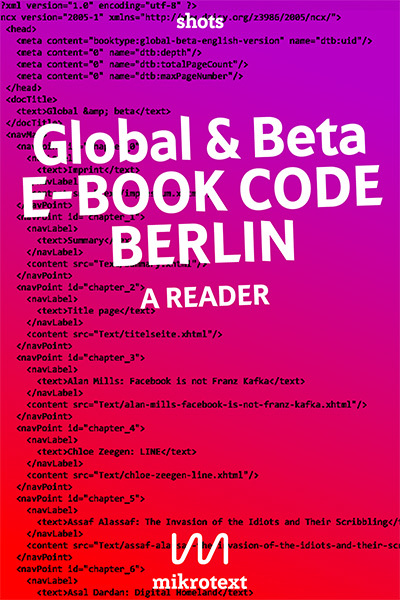 In addition, four important Berlin-based writers, Assaf Alassaf, Chloe Zeegen, Alan Mills and Asal Dardan, where asked to about their literary relationship with the internet. 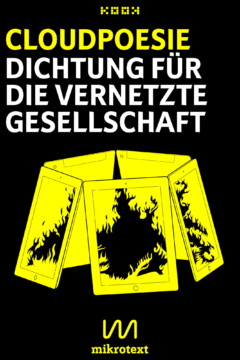 Also available for free in German. Nikola Richter lives in Berlin. She studied German, English and Comparative Literature in Tübingen, Norwich and Berlin, and ran one of the first online literature magazines (schriftstelle.de) between 2001-2003. In spring 2013 she founded the publisher mikrotext for contemporary literatures, such as essays, short stories, new journalism and web writings. In 2014 she was awarded the Young Excellence Award by the German booksellers‘ and publishers‘ association for her work. She is generally interested in the recent and future relationship between the web and the arts, in new artistic formats and engaged, recent topics.